8 sweet baby elephant cups. 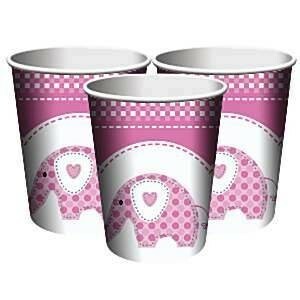 These pastel pink cups decorated beautifully with a cute baby elephant are sure to make every party goer smile. Girly 9-oz (256ml) Cups, perfect for hot or cold beverages served at your girl-themed religious occasion!